As noted, there is a lot of Beethoven in orchestra programs next year. Fair enough too, as how often do we get to commemorate his 246th birthday? Of the 7 major orchestras, and excluding the period based Brandenburgers, four of them are doing Beethoven cycles (ACO, MSO, QSO, SSO). It’s also worth noting that TSO did a Beethoven cycle this year- so snaps for being a trendsetter! The orchestras next year will perform 63 (ACO: 9, ASO: 5, MSO: 12, QSO: 11, SSO: 19, TSO: 5, WASO: 2) Beethoven works, or 11% of their 558 advertised works. I haven’t done a full analysis, but my educated guess is that Beethoven will be the most performed composer in the orchestra club next year (anecdotally, honourable mentions probably go to Tchaikovsky, Ravel and the inescapable Mahler)- to put it another way, if you go to an orchestral concert in 2016 there is roughly a 1 in 10 chance that you will hear some Beethoven. I love Beethoven’s music- Fidelio, the 7th Symphony and the Waldstein Sonata are particular faves (I know as A Composer I’m supposed to say ‘the late string quartets, obvi’ but #sorrynotsorry). But by comparison, there are 32 works in the same group by Australian composers, or 6% the total. So one dead (but fantastic!) German gets more performances by the major Australian orchestras than anyone else, dead or alive. I would assume that a single piece like the 5th or the 7th Symphony is probably getting more performances next year than the most performed Australian composer (Elena Kats-Chernin, if you’re keeping score at home). I didn’t crunch them, but I imagine the numbers are pretty similar for 20th century composers, or American composers or even perhaps English composers. Coincidentally, a friendly analysis was done of the San Francisco Symphony’s 14-15 season which showed that Beethoven had more works than the next two composers combined, so this is not a uniquely Australian trend. All shall cower before the mighty Beethoven! 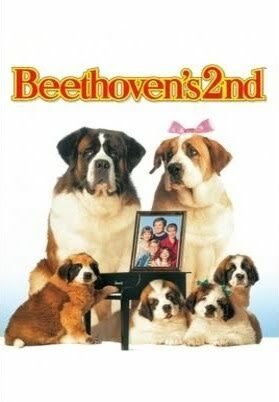 How long until a cutesy family program Beethoven Does Beethoven featuring lovable mutts straight outta Wien? I totally get the argument that there will always be a chunk of the audience who are hearing these pieces for the first time and that is absolutely vital and valid. But there’s also a chunk- and I’d argue a bigger one- who not only have heard these works before but have also heard multiple versions by many very fine orchestras and conductors. And why should a first-timer begin their journey with Beethoven anyway? It’s hard not to look ahead to the next big Beethoven anniversary- 250th birthday in 2020- with a certain sense of foreboding. If we are at 1 in 10 market penetration for Beethoven it’s hard not to see how this will avoid creeping up even further as we approach 2020. At what point do we reach market saturation and market exhaustion when it comes to the finite supply of Beethoven? Is there a Peak Beethoven? On the flip-side, if a Beethoven symphony is on the program, chances are there isn’t also time in the schedule for a Mahler symphony so let’s take small mercies when they can be found.